I didn’t know I had been battling depression until I got to my second year in the university. Suddenly, I became restless and unable to concentrate on my studies. I began to have dreams where I saw myself in psychiatric wards and among mentally deranged people. It got so bad that one night, I got out of the hostel and walked aimlessly around the campus. My friends didn’t know about this, at least not till I started speaking out. We would laugh and play together and yet deep down, my heart was covered in thick darkness. I didn’t know anything about depression so I went to the school’s clinic to run some tests. I thought I had malaria or typhoid but when the results came out, they found nothing…so I returned to my hostel confused and frustrated. I’m glad I got out of it. Three things contributed to my healing. One, I didn’t like the way I was feeling and was desperate to get out of it. Somewhere in my heart, I believed I could be happy like any normal person. I had faith that whatever it was that made feel like dying, It could end. Two, I had friends who loved me. They listened as I poured out my thoughts to them even though most of what I said were mere ramblings. Then the third was the night I cried out to God in a basement just close to my fellowship’s store room. After that incident, I had a dream. I don’t want to go into details of what happened in that dream but a miracle took place and the darkness lifted. This is my own story. It’s different from a very close pal who was so depressed that she began to see dark images walking towards her. With counselling, drugs and prayers, she was able to come out of it. Different stories for different people who got out of depression. For us as believers, we know that just as we seek healing for any sickness, mental illness is not exempted. As we recommend the usual therapy and drugs depending on how far the illness has gone, there is a place to trust God’s intervention. ‘By his stripes, we are healed’ applies to mental issues too. The devil through the instrumentality of our flesh has three major roles-to steal, to kill and to destroy but Christ came so that we may have life abundantly. Joy is part of that life handed to us through the finished works of the cross. We have been empowered to live a life full of joy every day. My focus today isn’t on depression but on the feelings of depression we encounter from time to time. Note that these are two different things. Depression is full blown mental illness but feelings of depression come in bouts and can easily be controlled. Many times, depression is an accumulation of negative emotions that has been stored in the mind over time. For me, it was a feeling of unworthiness. Night after night, I had this feeling that nobody liked me. I wanted to run away from everyone and just go into the bush to live with an old woman. My self-esteem was at the lowest rung and my thoughts were always pessimistic. Soon, life didn’t make any sense to me anymore. I believe strongly that if we deal with the negative emotions fueled by circumstances and the ugliness of this world, we’ll be able to keep depression at the bare minimum. So, are you feeling depressed? Is it increasingly difficult to get negative thoughts out of your mind and stay positive? Below are some tips that has helped me snap out of those horrible feeling from time to time. 1. Attack those negative thoughts with God’s Word. Thought: Nobody wants you. Can you see the way he left you for your friend? They are getting married soon. When will it get into your head that nobody cares about you. You: God cares for me! He is working out everything for me. He will never leave me nor forsake me. Thought: You will never amount to anything. Just see how you keep failing. You are so dump. You: Shut the hell up! In Christ is all treasures of wisdom and knowledge and he lives in me. His plans for me are for good and not for evil, to give me a beautiful future. Thought: You aborted a child. How on earth can God forgive such wickedness. You are doomed. You: Can I tell you something? I have an Advocate with the Father right now. He died for my sins and he has forgiven me. The love he has for me is far beyond what you can imagine. Even when the thoughts stop for a moment, you don’t stay quiet. You: I know you have come to steal, kill and destroy but Jesus came to give life and to give me abundantly. I am going to walk in that light and no power of hell can stop me. You: Hey, listen, I am God’s masterpiece. I shall come forth as gold. Resisting the devil is no easy task, but it is what you must do to stay happy and hopeful. Get your hands on so much scriptures that speak of your identity and God’s promises. Say them aloud. When you do that, you just make the devil laugh at your timidity. He’ll be back with more of those thoughts. He knows how to deal with believers who are ignorant of the authority given to them. You speak out loud whether or not you feel it. God’s Word is not even dependent on your feelings anyway. God’s word works. This is what I do. Because I know how melancholic my thoughts could go, I get very aggressive about what settles in my thoughts. Yes, sometimes I’m overwhelmed by certain situations but I have learned and I’m still learning to snap out of those feelings as quickly as the thoughts come. You have to be deliberate about this now. You can’t let life’s uncertainty draw you into a depressing mess. There is so much God wants to do with your life. 2. Get those feelings out. One of the things that helped me deal with depression was the step I took to sharing my feelings with some of my friends. I would blab and blab and not make sense sometimes, yet they listened. It didn’t occur to me that by doing that, I was already helping myself out of it. When you are too weak to utter even a word of prayer, it is at such moments you need people around you. It’s true there are friends who have taken advantage of the pain, but I am sure there is someone out there ready to help. Bottling up those feelings will contribute negatively to your mental health. Contact a counsellor or a trusted friend. Just get those feelings out. 3. Social Media addiction can increase those feelings of depression. Lots of studies have shown that addiction to social media contributes to depression. If you discover that this is one of the things that disturb and create unnecessary feelings of anxiety, then you may want to consider reducing the time you spend there. Get into other profitable activities beyond scrolling through your newsfeed and comparing yourself with the lives of people you barely know about. Likes and comments do not define you. Stop giving it the power to control your worthiness and affirmation. 4. Guard your communion with the Lord. Joy is expressed from your spirit when you spend time in the Word. Recently I put up a post on things you can do when spiritual activities become boring. You might find some helpful ideas there. Read God’s Word. Listen to uplifting songs. Watch sermons that dwell on God’s love and the finished works on the cross. 4. Pray in the Spirit when you begin to feel attacked in your mind. This has worked for me many times. When I sense my mind dwelling on unhealthy thoughts, I switch to tongues. I have watched heaviness disappear when I do this. You are missing out if as a Christian you don’t pray in the Spirit. If you hate your job, there is a tendency that feelings of depression will hang over your head. This is why it is important you find your divine purpose and allow God lead you step by step. Even if you can’t quit that job now because of the realities of life, when you know what God desires for your life, it’ll be a step in the right direction. When God leads you to the right assignment, it comes with so much satisfaction and even when challenges try to sap that joy, God will be there helping you through it. Depression is real people. Don’t let it get to the point where it becomes difficult to deal with. Take charge of your thought life. Don’t allow your thoughts roam the way it wants. You have been given the authority to control what comes into your mind. If you are reading this, and for months or several weeks, life just seem hopeless and suicidal thoughts constantly gnaw at your heart, then you may be facing depression. You need to seek counselling and get help as soon as you can. Here are three places you can find help. 1. Synapse Services provides psychological and psychiatric care. Click the link below to find out more. 2. 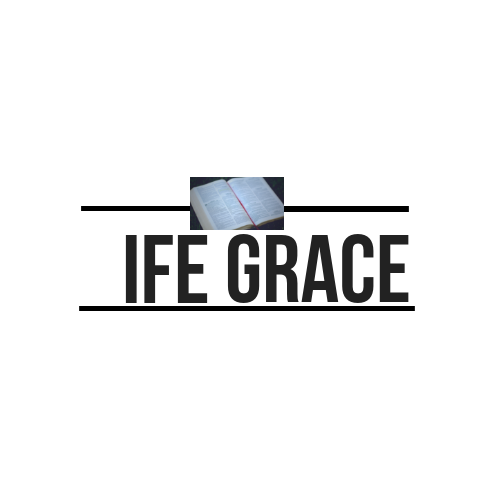 The Institute of counselling Nigeria (ICN) is a non-profit private organization based on Christian principles. They provide a wide range of courses for counselling and right there, you can get connected with professionals around Nigeria. Here’s the link to their site. 3. Beyond the heart(BTH) theraphy is another counselling organization run by a woman with great expertise in counselling psychology. See link below. Have you ever felt depressed? How were you able to handle it? This is so powerful i hope i can share. Yes you can share the link. The share buttons are right above. God bless you for this. The ‘Word’ of God- always works, I also believe the Word doubles as the person of Jesus. So when we attack these thoughts with God’s word, we are basically bringing Jesus into the situation. He never fails. Exactly! When we attack those thoughts with God’s Word, we bring Jesus into the situation.. 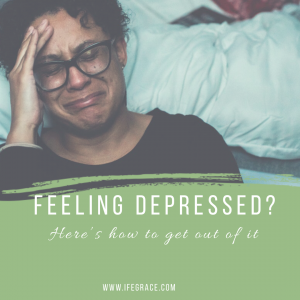 Thanks for this timely post Sis Ife, I have never been so depressed that it became so difficult to deal with, besides I love to stay happy and free from any negative thoughts. Whenever I feel I am becoming unhappy or unnecessary moody, I try to organize my thoughts and discover the source of my unhappiness. And a thing I do is PRAY. I will report to God that I am not feeling happy today, and pray that he will restore me happiness and it always works though it might take time in some cases. Praying works. You are right that the result may not always be visible at an instant but as we trust that God is already working in our minds, we’ll see visible results within a short time. And yes, we deserve to be happy only because of what Christ has done for us through His finished works. When I saw the title, it caught my attention but I dint make out time to go through…but today I came back from work feeling depressed and I dint know how to explain why I was feeling this way and I badly needed to get out of it then I remembered one of your write ups deals with depression. I came online went through especially the part that has to do with God’s word & promises, allowed it do the healing and by God’s Grace I feel better and relieved. Thank you so much for this timely piece. Most a times I sleep through it and hope it goes away when I wake up. Sometimes a talk with someone who is ready to listen. Reminds me of this words, ‘weeping may endure for a night, but joy comes in the morning. Talking about those feelings also helps. God helped me out of depression some years back and I didn’t no how. In my case, I was always sad, I would weep and wail endlessly and most times there was no reason for it. I knew what was happening was beyond me but I didn’t no how to get out of it, my mind was not mine to control. Thanks for sharing this story. The Holy Spirit indeed makes a difference. It shows that it is all about Him and not about us and without Him we can do nothing. Hmmm, tnx for this dear. Actually depression is real and sometimes could be worse for people with the melancholy temperament. I used to have depression, chronic one. It lasted for about 5 years. I keep asking God if I’ll ever be normal because mine was horrible. Suicidal thoughts were a daily routine, I wasn’t seeing human beings clearly, severe heart pains due to prolonged negative thoughts, low self esteem and a lot worse. I used to be a very bright student but I failed repeatedly through my undergraduate days, worse still I began to consider being an atheist cos devil told me a thousand times a day God’s an illusion, and even if He’s real He’s not helping me, I believed that. In response to my thought pattern, severe negative things happened to me in torrents. Well to cut long story short. God loved me, really loves me, He used many Godly people around me to try to get my attention cos I didn’t trust Him anymore, they really tried but the victory was usually short-lived. God finally got through to me, and it’s ironic He did it through a huge failure. As one of my friends stared at me that night and said “Faith be strong “, God said in a tender yet strong voice, ” Faith you have only two choices now, either you close your eyes and die or you trust me”. I knew I cudnt run anymore. I simply told my friend good night and closed my eyes, and for the first time in a long long time I trusted God. I must say the healing wasn’t automatic but it was the first step to freedom. 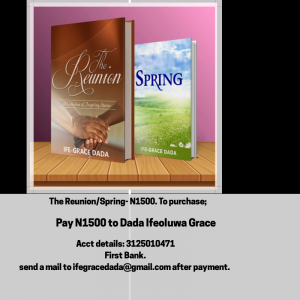 God literarilly carried me cos we needed to scoop out the many waters that had gone under the bridge together. Honestly it is still an unfathomable miracle and cos of that there’s no degree of seemingly impossible thing I can’t believe God for right now. Just few days ago I was in a difficult situation that got my mum very worried but I spoke to them with calm cos God had already assured me. When I finally came home she said “there’s this peace you often demonstrate in difficult situations” , I just smiled, God and I are making progress. I still experience depressive thoughts from time to time but God and I have a sure medicine now, “the word, handing over and trust” .